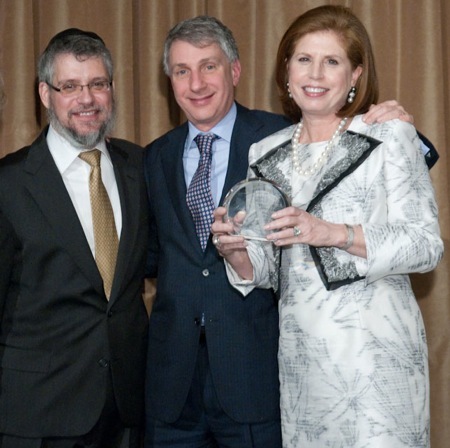 Abby Milstein has chaired the New York Legal Assistance Group (NYLAG) for more than 10 years. Under her leadership, NYLAG has grown from a $1 million to a $13 million operation. With 130 paid professionals, over 100 in-house volunteers, and students from clinics around the city, NYLAG partners with more than 500 lawyers in 50 law firms to provide high-quality civil legal services to the poor and near-poor in New York. NYLAG works in an ever-growing list of practice areas — elder law, family law, immigration law, workers’ rights, and special education — bringing many class actions on behalf of its clients. Recently, NYLAG was successful in a suit against New York City over the inadequate maintenance of the elevators in public housing. By giving their lawyers room to be creative and entrepreneurial, innovative ideas emerge. For example, NYLAG’s Legal Health project has trained 1,000 doctors in local hospitals and many more social service providers to identify situations in which a lawyer can take action to improve the health of patients along with their overall circumstances.